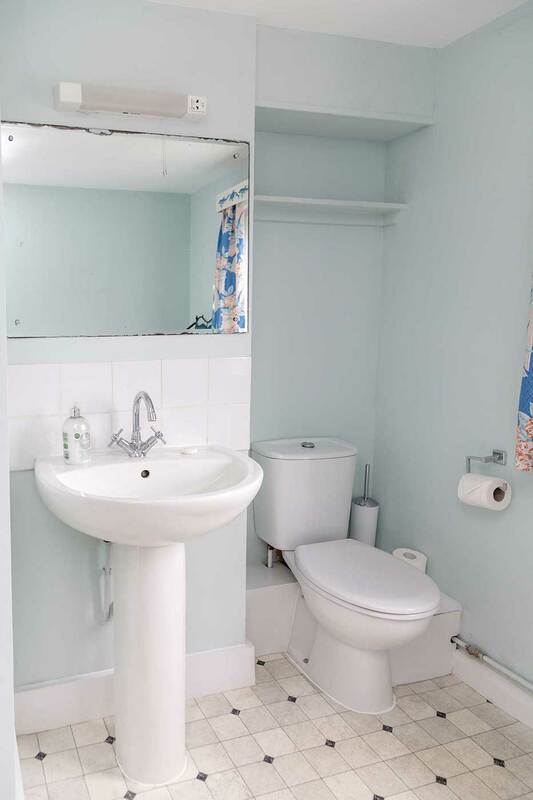 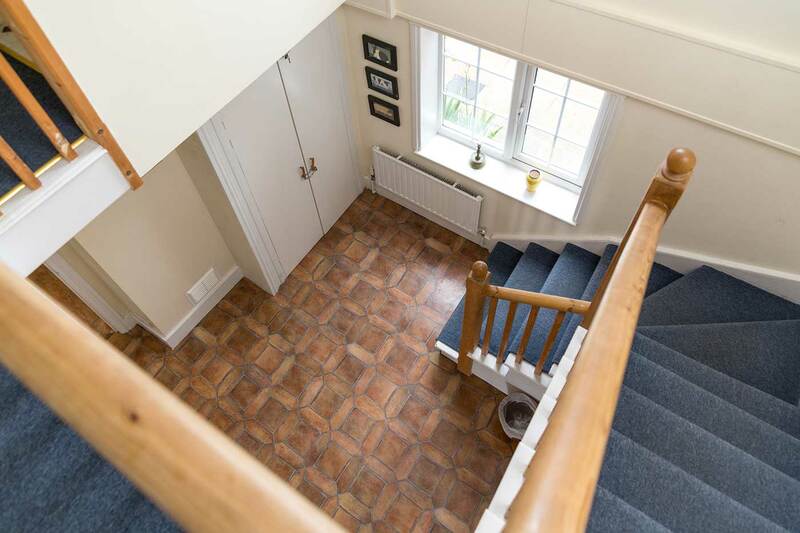 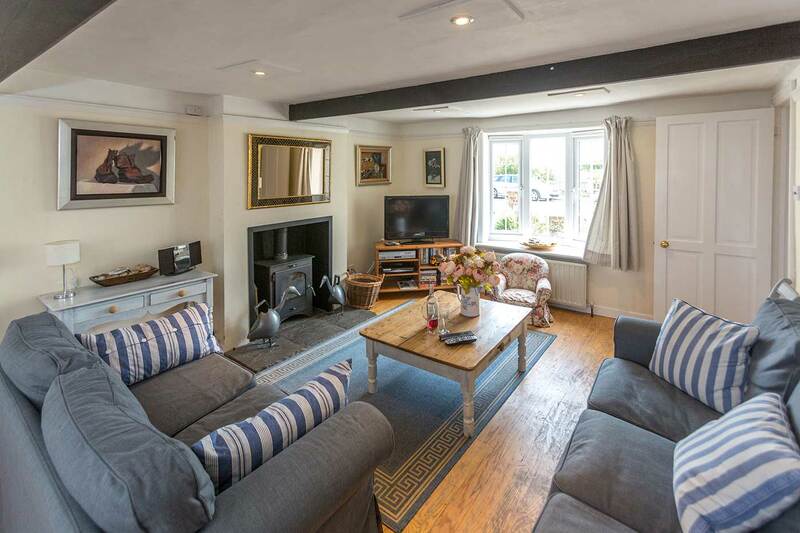 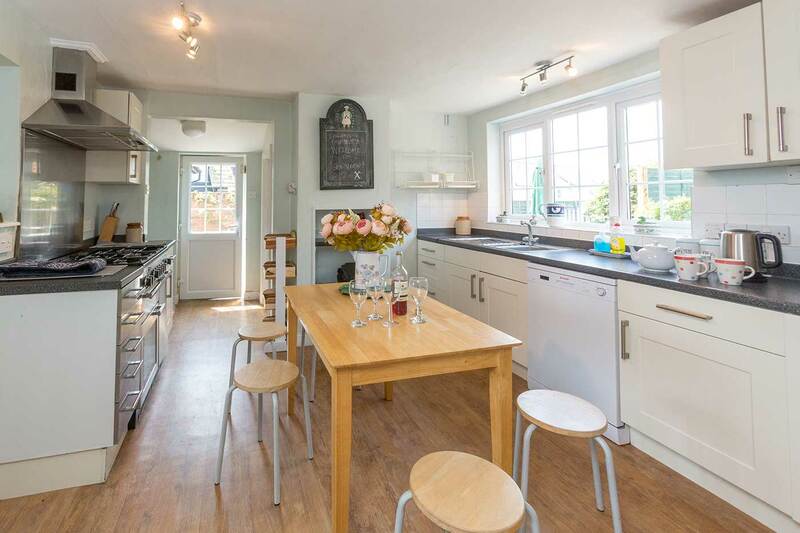 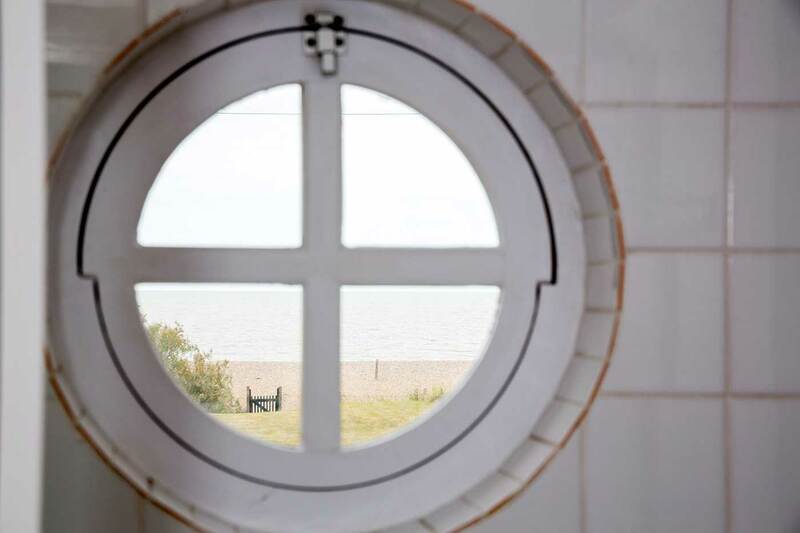 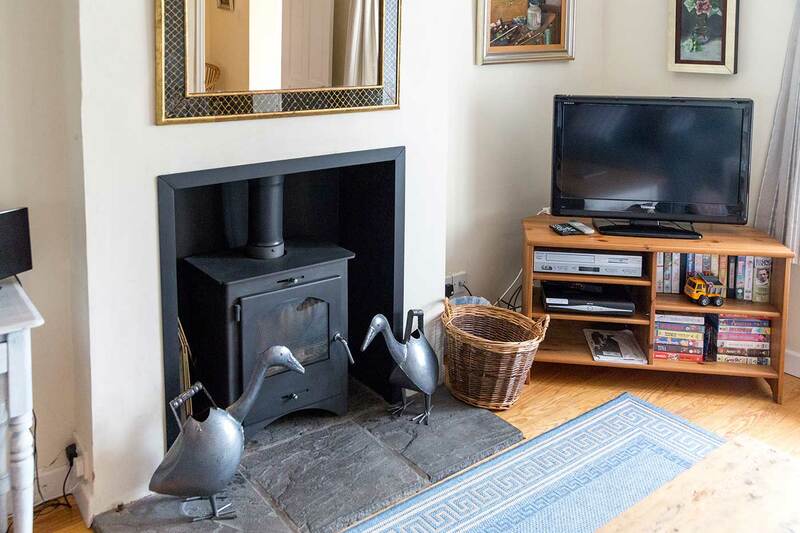 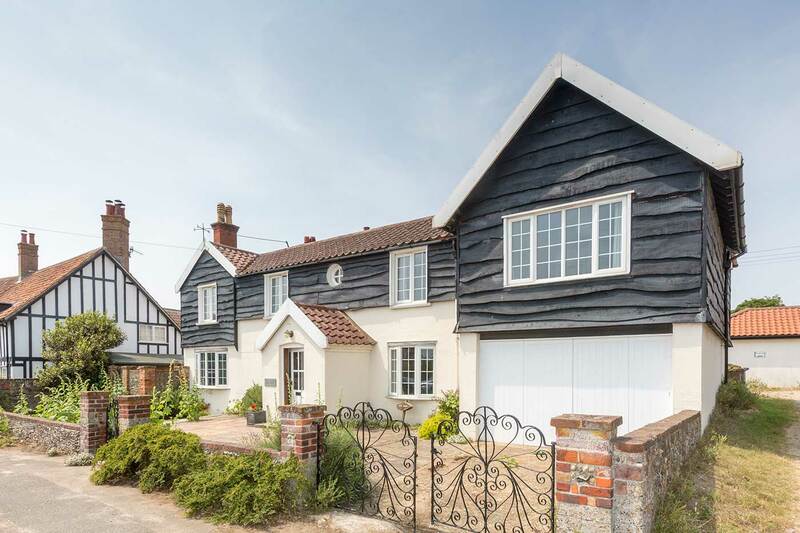 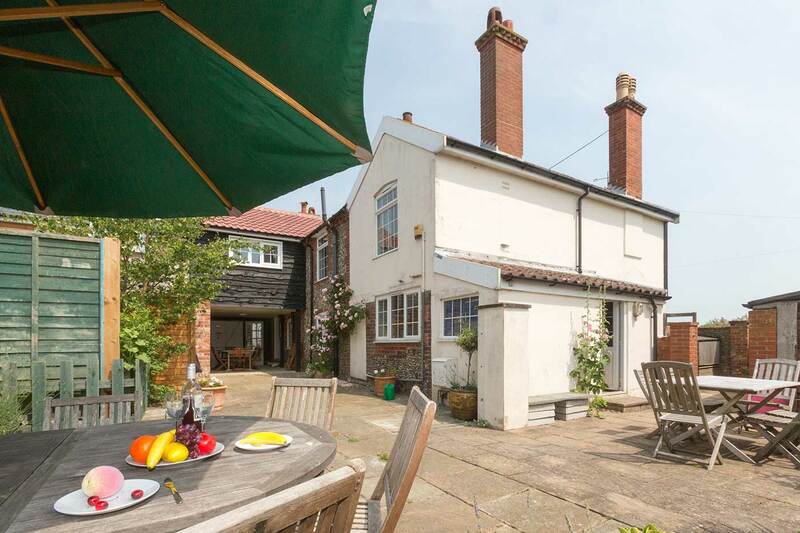 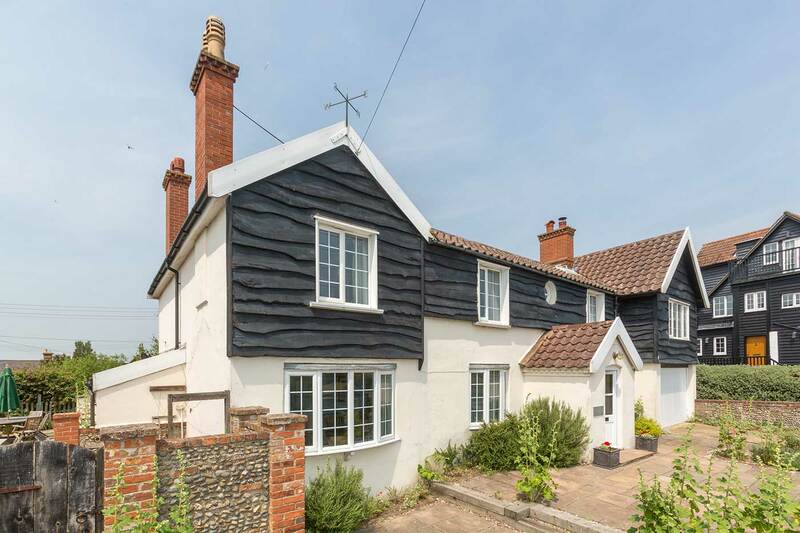 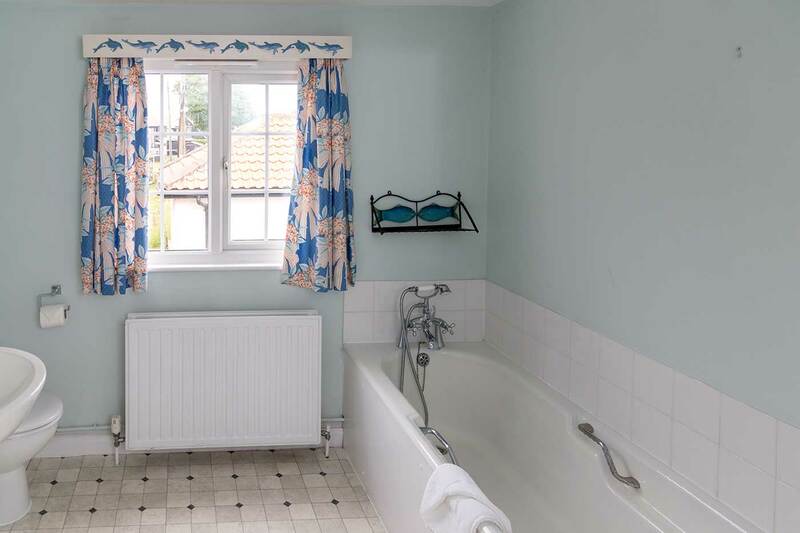 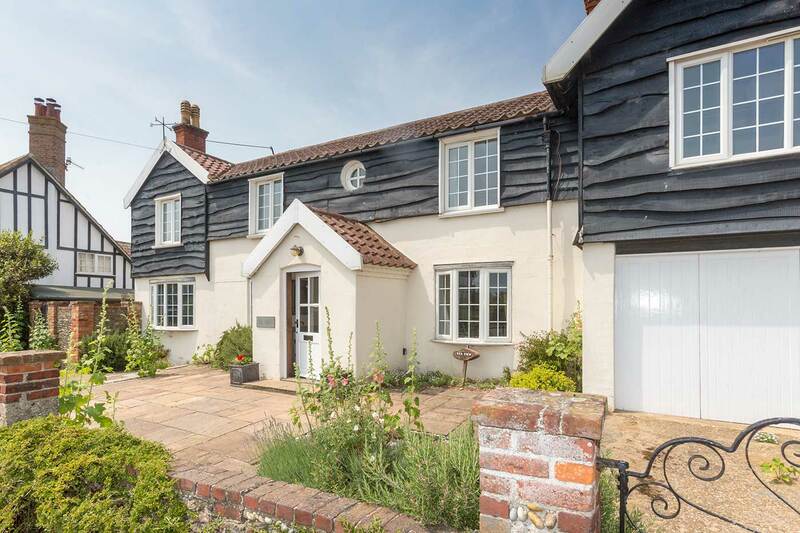 This traditional Thorpeness property is situated in a stunning location next to the beach and close to all amenities of Thorpeness. 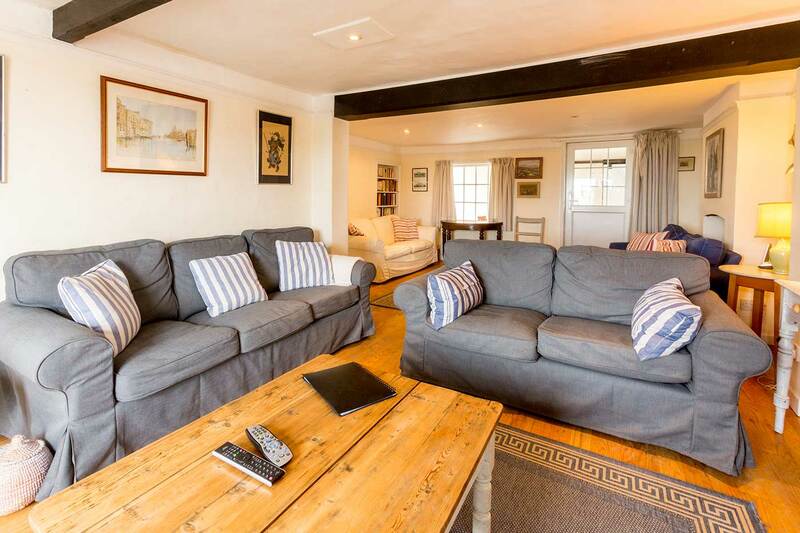 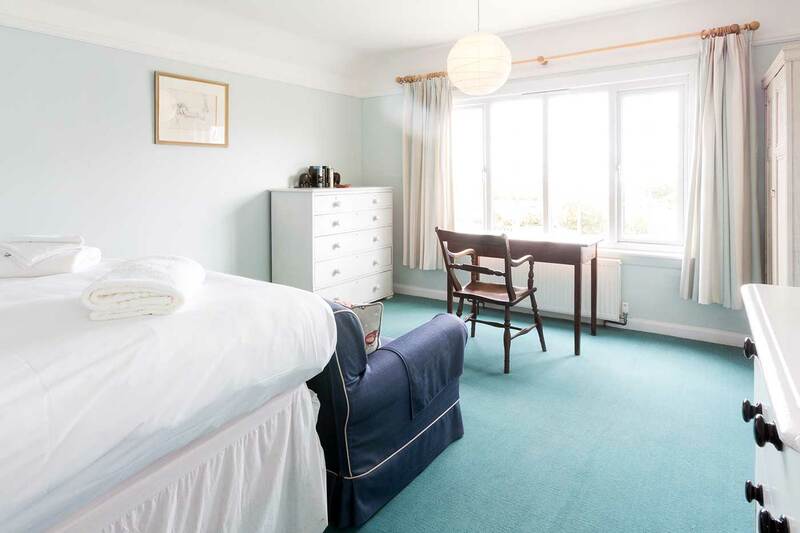 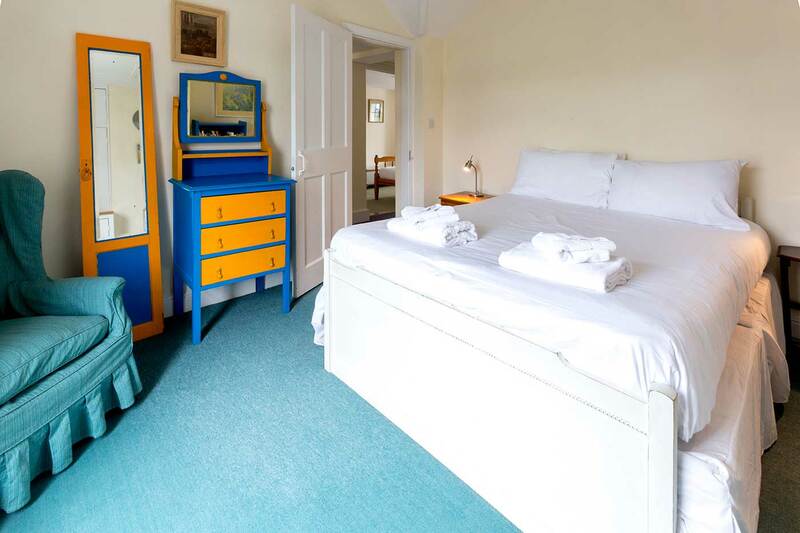 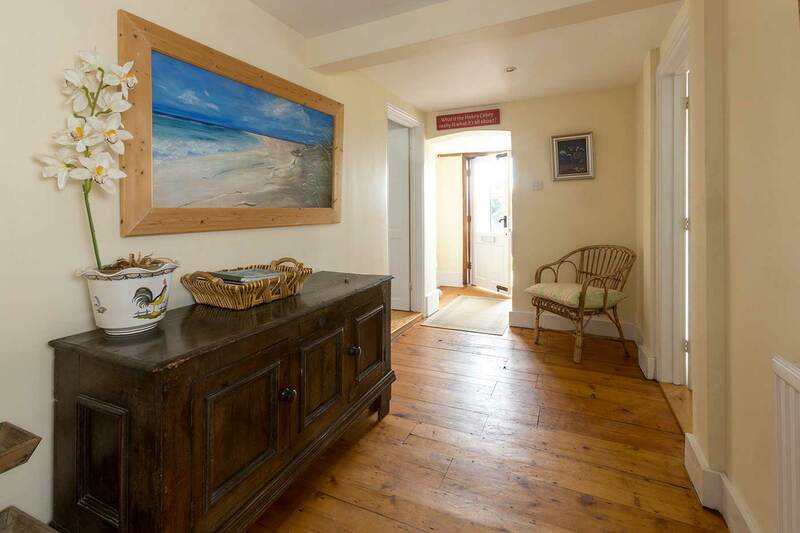 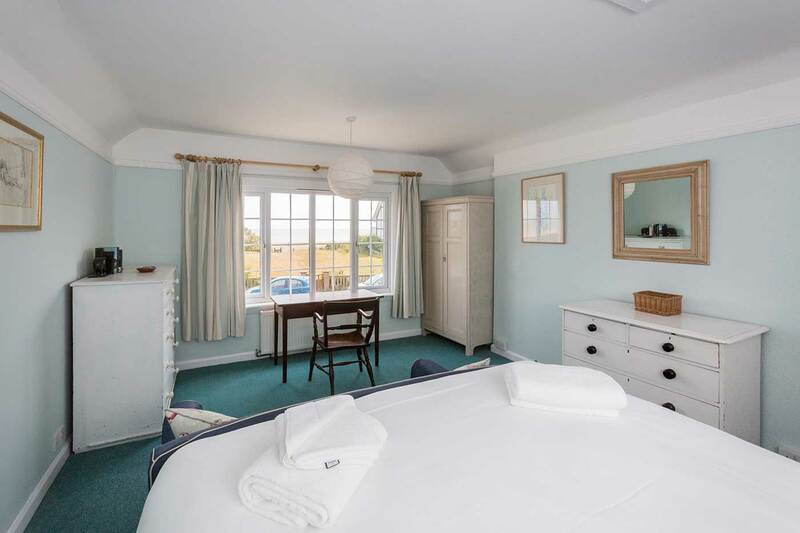 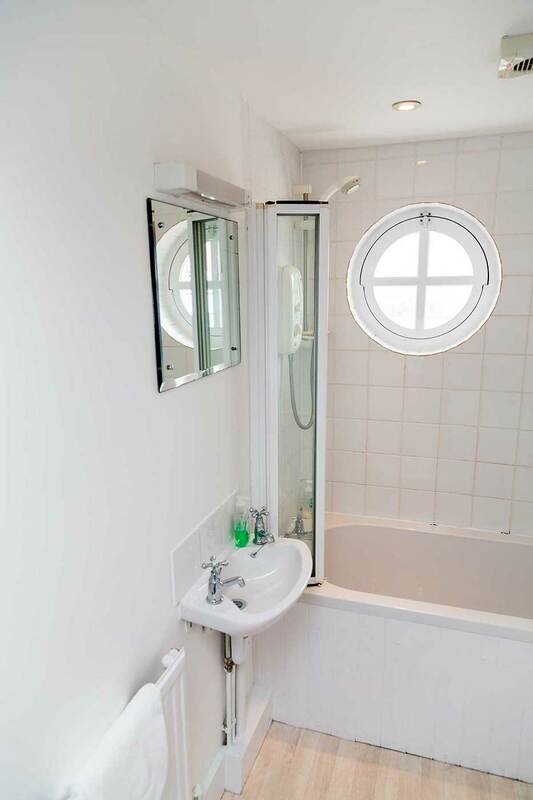 The house offers fantastic sea views from most rooms including a stunning view from the living room. 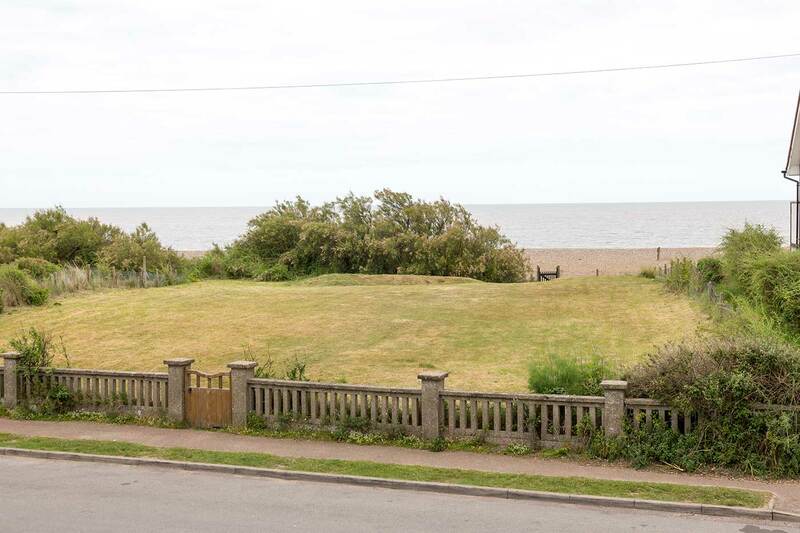 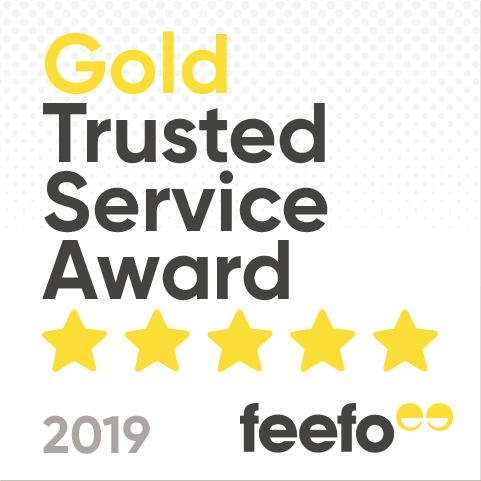 In addition to courtyard garden at rear of the property, Sea View also offers large private grassed garden across the road – ideal for barbecuing, sunbathing and give guests direct gated access to the beach. 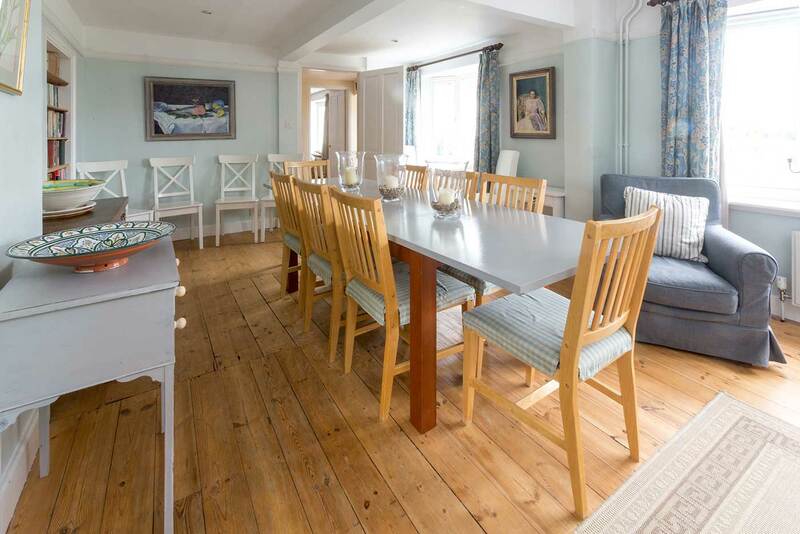 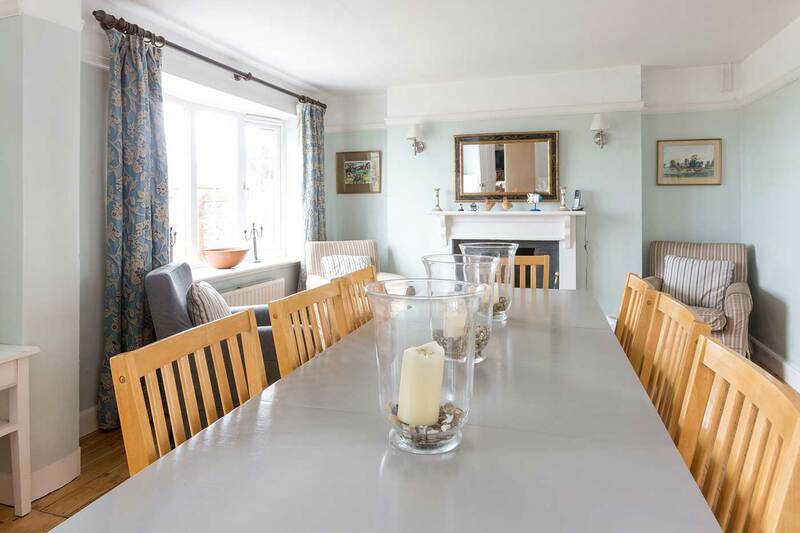 This magnificent house has six bedrooms and six bathrooms and spacious living areas making it a perfect seaside base for large groups or family gatherings. 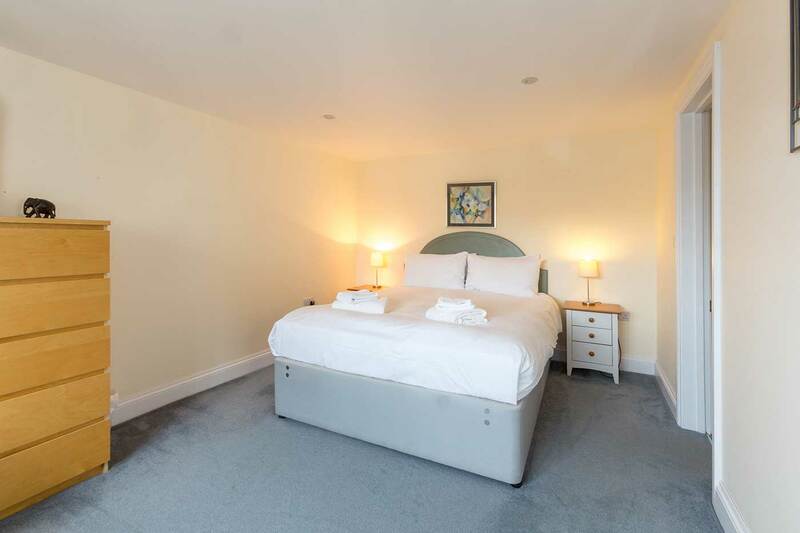 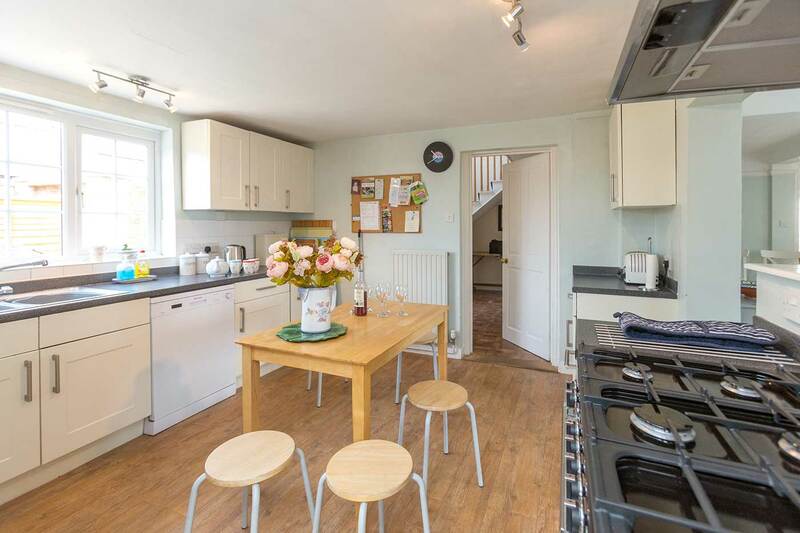 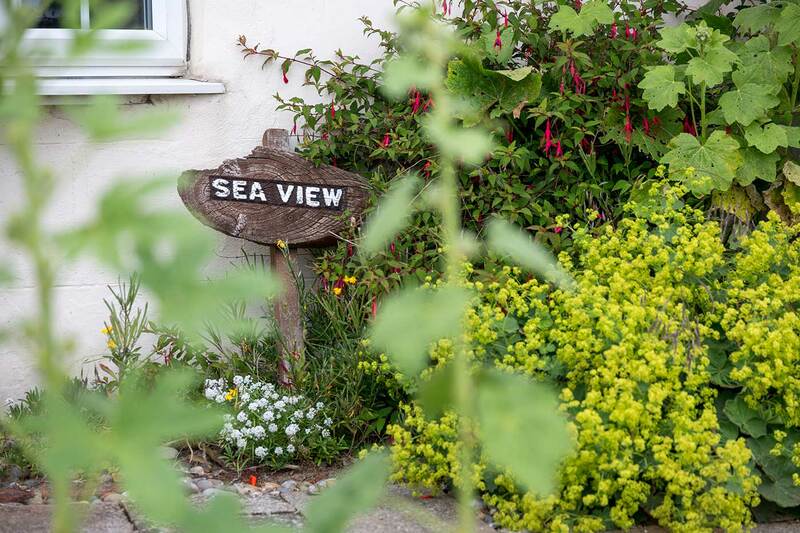 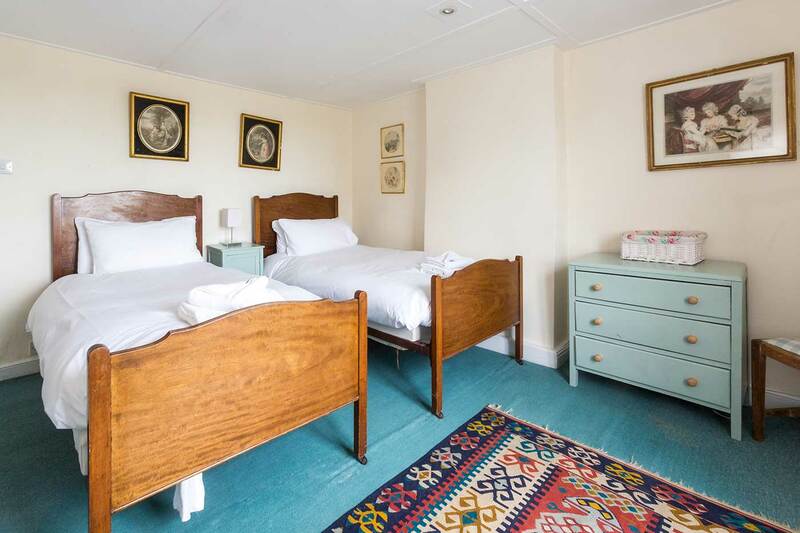 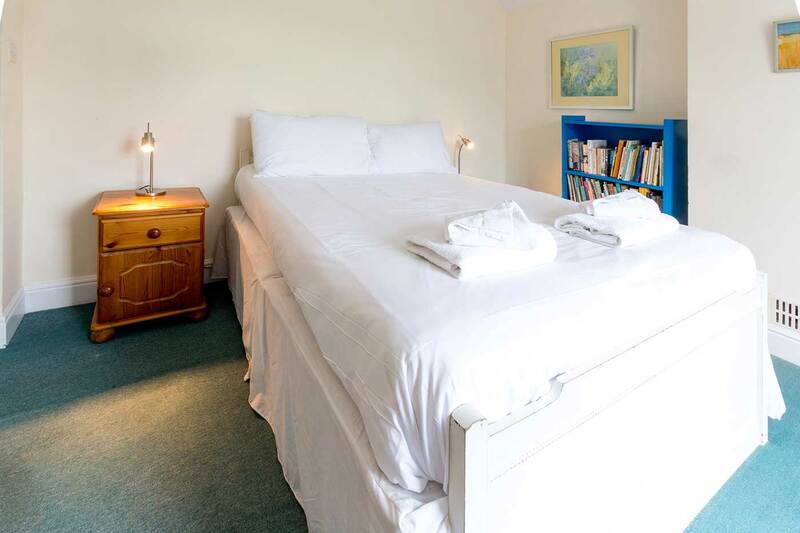 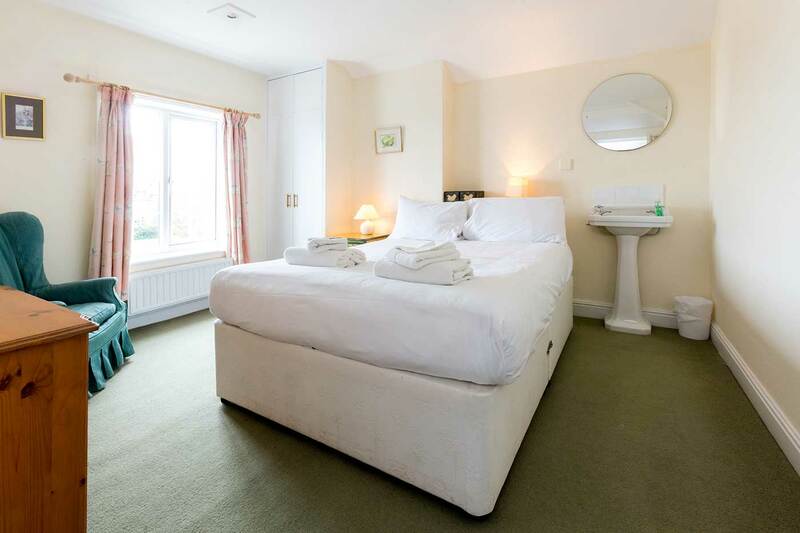 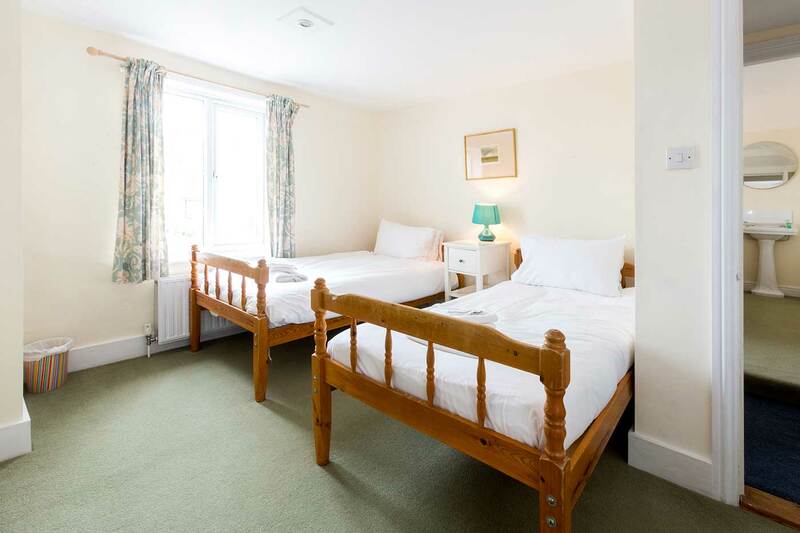 Sea View is next door to The Pink House (sleeps 8) – groups of up to 20 can rent both properties by arrangement. 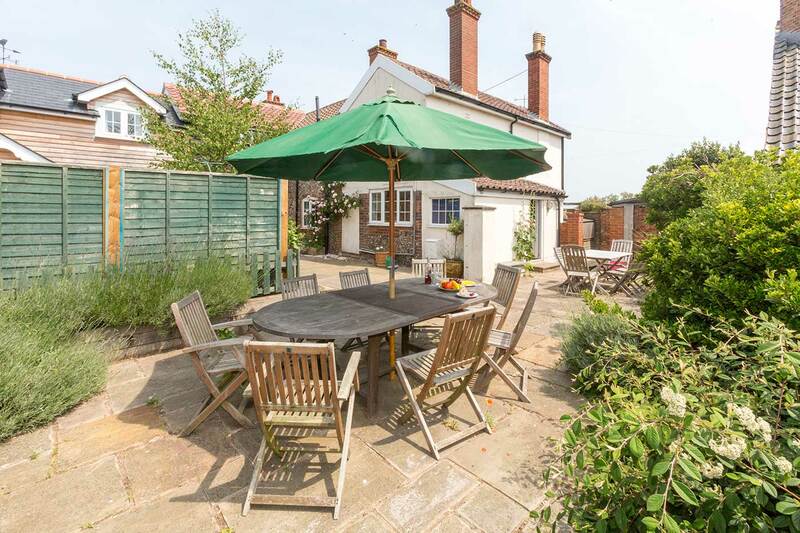 Large paved area at the front of the property and a good sized fenced area with patio furniture at the rear of the house.